Do you sometimes feel like everywhere you turn, you see an alcohol ad? Alcohol is one of the most heavily promoted products in the world, and children and adolescents are exposed to unacceptably high levels of alcohol advertising, in many different forms. Given concerns about alcohol-related harm in our community, and the impact of alcohol advertising on the drinking patterns of young people, it would be reasonable to expect that the regulation of alcohol advertising would be comprehensive, strong, and independent of industry. This is far from the reality. Many are surprised to find that alcohol advertising in Australia is self-regulated by the alcohol and advertising industries. There are substantial weaknesses in the industry-run system, resulting in processes that consistently fail to ensure that alcohol is promoted responsibly and that young people’s exposure to alcohol advertising is minimised. Frustrated by inaction to address these concerns, the public health community decided that they could do it better. In March 2012, the McCusker Centre for Action on Alcohol and Youth and Cancer Council WA, with support from health organisations around Australia, launched the Alcohol Advertising Review Board (AARB) to provide an alternative system of alcohol advertising review, free of industry influence. Today the AARB released its latest Annual Report. By demonstrating the growing community concern around alcohol advertising and that Australian children and young people are being exposed to excessive amounts of alcohol promotion, the report provides further evidence that self-regulation of alcohol advertising in Australia has failed. The AARB continues to receive many complaints about concerning alcohol ads – more than in the first year, and more than the industry’s self-regulatory system. 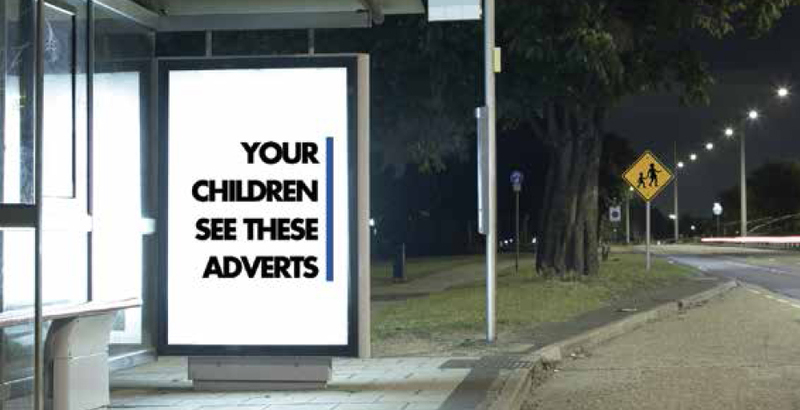 Complaints about inappropriate and irresponsible alcohol ads have come from all around Australia, from Wollongong to Perth to Far North Queensland. In its second year, the AARB received 209 complaints and produced 138 determination reports; 86 determinations upheld complaints in full, 44 upheld complaints in part (meaning that the panel believed an ad breached some but not all of the provisions identified in the complaint) and 8 dismissed complaints. Complaints were most likely to relate to ads for beer, followed by liquor retailers, and spirits. TV ads, including alcohol sponsorship during televised sports, were the most common forms of ads to attract complaints, followed by alcohol sponsorship of sport and music events, and online ads. Some ads were so alarming that they made the list of the AARB’s Top 10 Alcohol Advertising Shockers of 2013 – 14. Shockers included sponsorship of major sporting events, a beer branded AFL Tipping email sent to children, liquor retailer promotions for cask wine equivalent to around $2 a litre, alcohol ads placed outside a school and youth centre, supermarket shopper dockets, and promotion of excessive alcohol consumption by liquor retailers on Facebook. A special mention goes to Carlton & United Breweries (CUB) – the company responsible for VB, Carlton Draught, and Crown Lager – who received the inaugural Worst Offender Award for exposing Australian children and young people to extensive alcohol advertising through sponsorship of AFL, NRL, and cricket, and attracting the most complaints to the AARB. Addressing alcohol advertising has increasingly become an issue for debate in many countries, and the AARB Annual Report provides a summary of international approaches to alcohol advertising regulation. There is international precedent for strong and effective regulation of alcohol advertising, but it’s evident that industry opposition has been a key factor in delaying or preventing effective regulation in various regions. It is clear that alcohol industry self-regulation is ineffective. 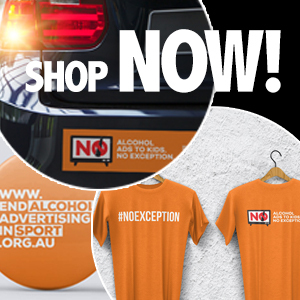 Simply modifying or expanding the current self-regulatory system won’t work; Australia needs strong, independent, legislated controls on all forms of alcohol advertising and promotion. It’s time for government to provide strong leadership to prioritise community health and safety, and act to effectively reduce young people’s exposure to alcohol advertising. You can take action and help encourage change by contacting the Alcohol Advertising Review Board when you see an alcohol ad that concerns you. Making a complaint is quick and simple! To stay up-to-date on AARB activity, follow @AlcoholAdReview on Twitter.